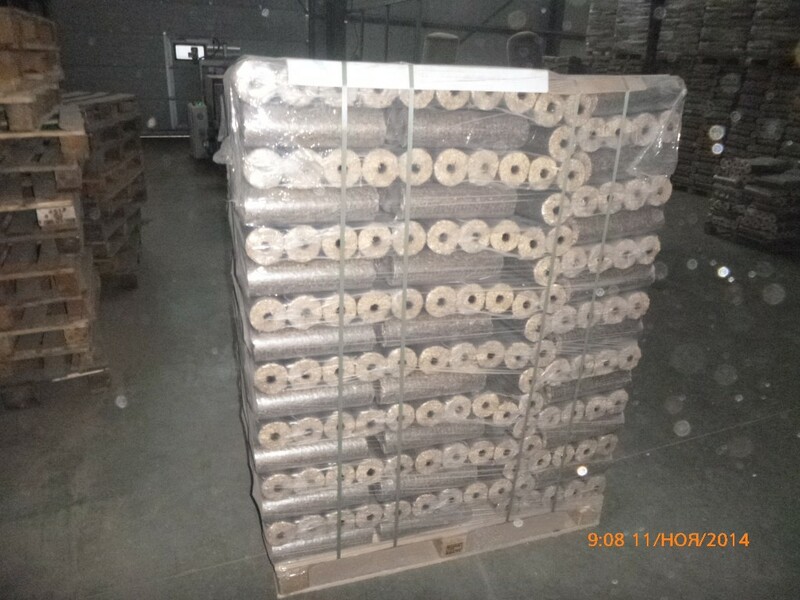 Wood briquettes Nestro with hole in the middle, which is made for a more uniform combustion. High density results provide long heat release. Wood briquettes is a type of solid biofuel, which is made by pressing various kinds of wood waste and used for heating home estates and other buildings. 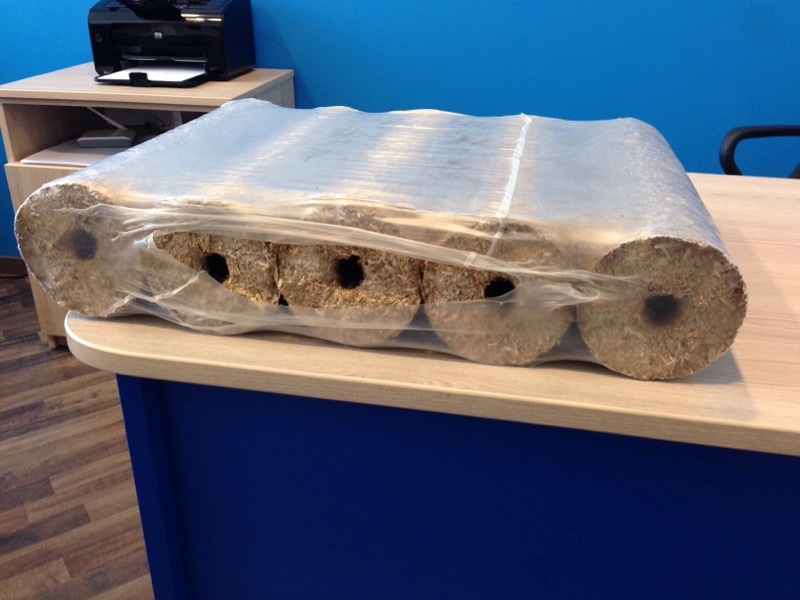 Unlike pellets, briquettes are larger and have longer burning time so as the amount of heat that they emit. Wood briquettes are an environment-friendly kind of fuel. The cost of goods is calculated individually for each customer depending on delivery location. You can order delivery of our wood briquettes to any region of Germany (Berlin, Hamburg, Munich, Cologne, Frankfurt am Main, Stuttgart, Dortmund, Essen, Duesseldorf, Dresden, Leipzig, Hannover, Bremen etc), to Netherlands, Belgium, Denmark etc. 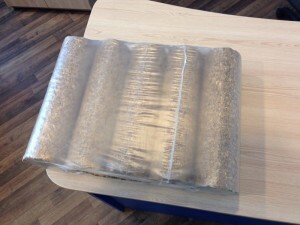 Fuel briquettes – is a very popular type of fuel in Europe. Wood biofuels are made from wood waste like wood shavings, sawdust, tree branches. Fuel briquettes now is modern solid fuel, which is cost-effective alternative to usual firewood, gas, electricity. They do not contain any chemical admixtures or other components. 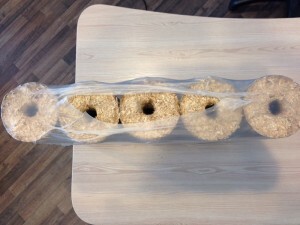 – when burning of wood briquettes up to 1% of ash is formed. Heating private estates and other buildings with wood briquettes is very different from heating with wood. Wood biofuels provides long active burning. Compared with wood, fuel consumption is much reduced and decreases the time you spend on fuel loading. Wood briquettes can be used in solid fuel boilers and other boilers made for dry wood. Also they are used in open or closed fireplaces. Wood solid biofuel has a high density and low humidity. 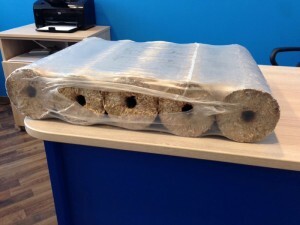 Fresh wood humidity is 50%, calorific value – approximately 2.24 kWh/Kg, wood briquettes have humidity up to 10%, calorific value – about 4.86 kWh/Kg. 4) when burning do not allocate an unpleasant smell, no fire and no spark, almost do not emit smoke and soot. Using wood briquettes, you will not only extend the life of your boiler, but also to contribute to a cleaner environment.